'SUSSEX HOUSE' - Welcome to this 2 bedroom, 2 bathroom Sub-Penthouse. View of the North Shore Mountains. Original owner 1st time offered boasts high end finishing, stainless appliances + granite counters. Excellent location close to shopping, beach & much much more. This is your chance to own White Rock Real Estate. 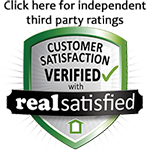 Count on an experienced award winning White Rock, South Surrey Realtor.